Ben, like many of the trend setting artists of that era, had the privilege to work under the tutelage of the innovative engineer/producer/composer Norman Petty, who musically influenced the entire free world with his distinctive genius and who is also in the Rockabilly Hall of Fame. 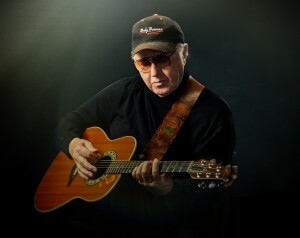 Along the way, Ben recorded with some of Nashville’s greatest talents, namely producers – Tommy Allsup (Rockabilly Hall of Fame), Brien Fisher (Grammy Award Winner), Norris Wilson (Songwriters Hall of Fame) and musicians – Pete Drake (Steel Guitar Hall of Fame), Lloyd Greene (Steel Guitar Hall of Fame), Weldon Myrick (Steel Guitar Hall of Fame), Hargus Robbins (Hall of Fame Honoree), Buddy Harman (Hall of Fame Honoree), and The Jordanaires (Rockabilly Hall of Fame) – many who are now members in the hall of fame. Sweet Country – Legacy Edition represents the communal vigor and vitality of some of the finest country and western musicians of the 20th century. Ben Wasson, one of the singer/songwriters that came from the famed Norman Petty camp that produced such greats as Buddy Holly, continues the excellence in recording which the legendary Petty so firmly established. Having recorded with numerous hall of famers throughout the years, Ben has come out of retirement to register three indie chart records in a row, and “Don’t Stop By The Creek, Son” will undoubtedly be the fourth. A few months ago, while Ben was contemplating on what to record at an upcoming recording session, he came across Johnny Copeland’s “Don’t Stop By The Creek, Son”; he loved the tempo and the undertone of the lyric message. Ben became further interested when he read that Stevie Ray Vaughan, one of the best guitarists in his opinion that ever drew a breath, helped out on the recording session. He decided to cut it! Ben recorded the basic tracks in Nashville with premier pickers who had a lot fun in the process. After Ben finished the cut, Mike Rojas (who was awarded the ACM’s Top Piano/Keyboard Player of the Year) said, “he wanted to go back in and put some horns on it”. Ben brought the tracks back to Dallas where he does his final vocals, and when he walked into the Patrick McGuire studio, he noticed a painting of Stevie Ray in the coffee room. When Ben mentioned to Patrick that Stevie had played on the original session, Patrick remarked, “Yes Stevie was the best guitarists I ever played bass behind.” Quite a coincidence there don’t you think? Ben does not know if he believes in serendipity or not, but it is described as being “a seeming gift for finding good things accidentally”. While walking back to his car, after he had just completed mastering the cut for final release, which has a playing time of 3:21 minutes, he noticed the last three digits of his license plate are 321. Hmmm, interesting coincidence don’t you think! A critic once reported Ben Wasson never made a bad record. Ben remarked that the excellence Petty required of all his artists was so thoroughly ingrained it continues to this day. It has been often said that Norman Petty’s innovative genius, influenced the entire free world of music. Through Ben, reportedly the last surviving lead singer from that influential camp still actively recording, the spirit lives on!